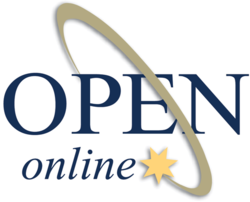 OPENonline, an NAPBS® accredited, industry leading provider of employment background checks and investigative services, has launched their newly redesigned, state-of-the-art company website – http://www.OPENonline.com. OPENonline’s new website provides the ultimate user-friendly experience with improved design, navigation, and functionality to showcase their wide range of background screening services. The simplified website offers visitors and thousands of OPENonline customers access to better organized and more detailed information that relates to information that is relevant today. In addition to promoting the company’s employment background checks and investigative services, the new website features an expanded compliance and legislative section to educate visitors about the impact of screening-related issues, policies, and trends on critical employment practices. This past year, OPENonline enhanced many of their products, including adding tenant screening to their investigative services and introducing the Federal OIG/GSA Search to their employment screening offerings. As their suite of services continues to grow, accommodating more specialized searches for medical and law enforcement fields, OPENonline continues to be the premier choice for companies looking for a comprehensive solution. To check out their brand new look, visit http://www.OPENonline.com. Accredited by the NAPBS® Background Screening Credentialing Council, OPENonline is a leading provider of background screening and investigative solutions. OPENonline offers a broad range of employment screening, drug screening and employment eligibility verification services, including SelectHire®, a one stop solution for employment screening. The company is dedicated to helping customers save time and money by providing background information that is current, accurate and compliant with exceptional customer service. Each of OPENonline’s Safe Hiring Background Specialists are U.S. –based, FCRA certified and compliant with state and federal laws. For more information, visit OPENonline.com or call 1-800-935-6736.